We keep saying this over and over again, but quarterback is the most important position on the football field. It doesn’t matter what level of the game you are looking at, quarterbacks are heavily involved in practically every single offensive play during the course of a game. Given their impact on the outcome, it should come as no surprise that quarterback is also the highest-paid position in the league. We decided to do a little digging to determine which teams got the highest statistical return on their investment this past season. To do so, we compiled data on the total number of touchdown passes thrown by each quarterback in league in comparison to their total cash earnings and determined the cost per touchdown pass for every NFL quarterback. 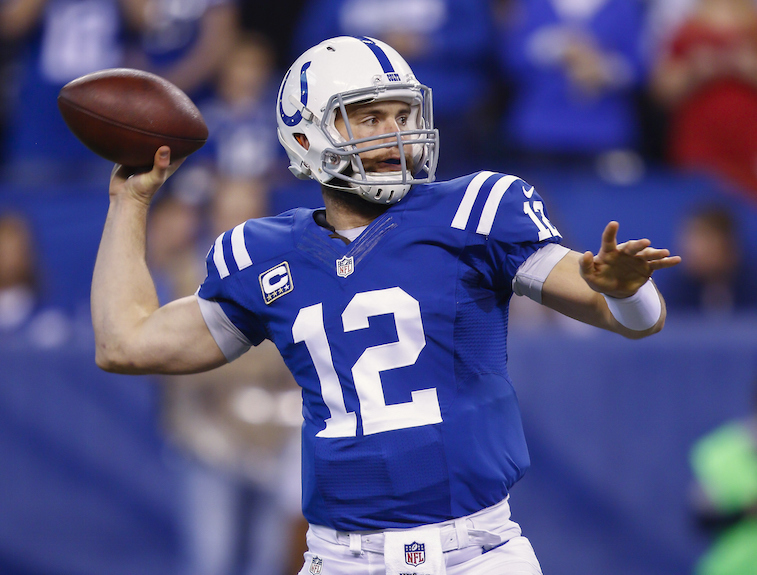 As expected, Andrew Luck of the Indianapolis Colts, at $59,996, and Russell Wilson of the Seattle Seahawks, at $33,122, provided their teams with the lowest cost per touchdown pass during the 2014 season. Both players had excellent seasons, and both were still playing on their rookie contracts. We opted to narrow our list to the 10 quarterbacks who had the highest cost per touchdown pass in 2014, with a minimum of 13 games started. Some of the names on the list will be surprising, and others will not. Four of the 10 quarterbacks on this list led their teams to the 2014 postseason, and believe it or not, there is a quarterback on our list who earned over $1 million per touchdown pass last season. Without further ado, here is a look at which NFL quarterbacks made the most money per touchdown pass in 2014. Manning made $15,650,000 and threw 30 touchdown passes in 2014. His 30 touchdown passes were good for the ninth most in the league, but his 14 interceptions were good for the eighth worst total in the league and were one of the main reasons the Giants’ offense struggled to find consistent success last year. Brady made $19 million and threw 33 touchdown passes in 2014. The simple truth of the matter is that by leading the Patriots to a Super Bowl XLIX title, Brady was well worth every dollar that he earned last year. Marc Trestman and Phil Emery can thank Cutler for being shown the door following the 2014 NFL season. Cutler made $17,506,808 and threw 28 touchdown passes a year ago. 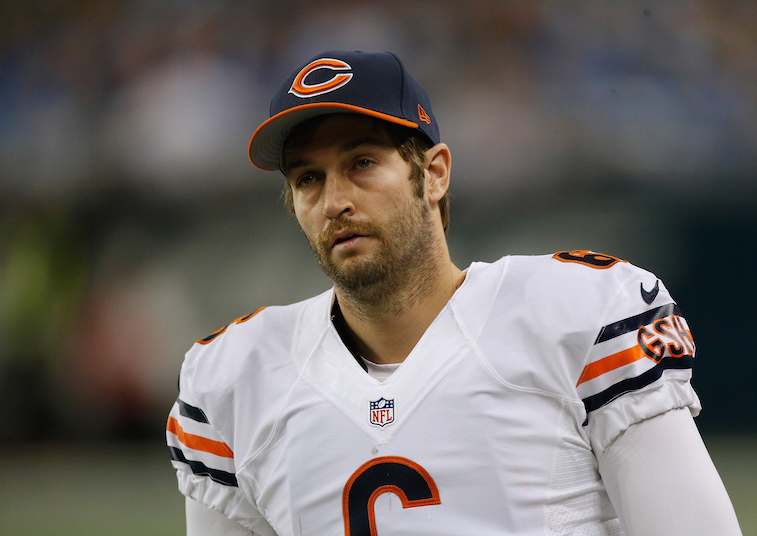 Unfortunately for the Bears, Cutler also led the league in interceptions and was a cancer in the team’s locker room. But hey, maybe John Fox, the team’s third head coach since Cutler arrived in 2010, can make it work with him. Bortles started 13 games for the Jaguars in his rookie season and made $7,090,836. He only threw 11 touchdown passes compared to 17 interceptions, and for the most part, it looked like he would have benefited more from a year on the bench. The Jaguars still have high hopes for the No. 3 overall pick in the 2014 NFL Draft. It may have had something to do with All-Pro wide receiver Calvin Johnson battling injuries all year, but Stafford only threw 22 touchdown passes in 2014. 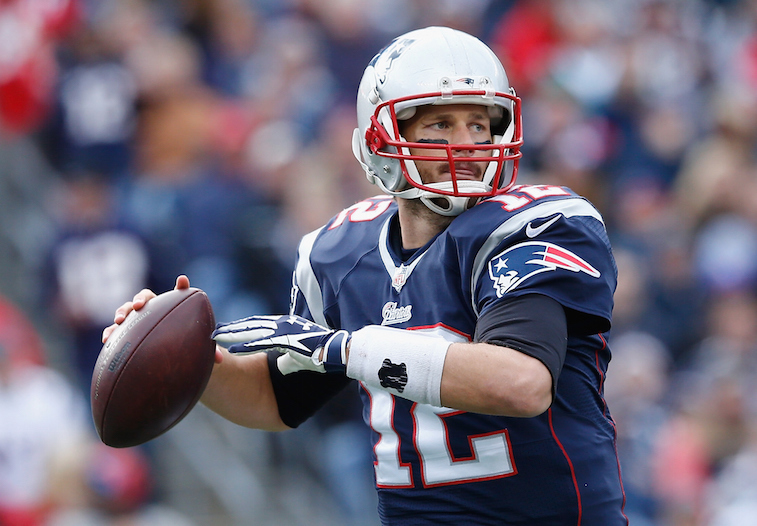 He remained one of the highest-paid quarterbacks in the league, making $15,008,969. Despite his relatively low touchdown pass total, he led the Lions to a playoff appearance in 2014. 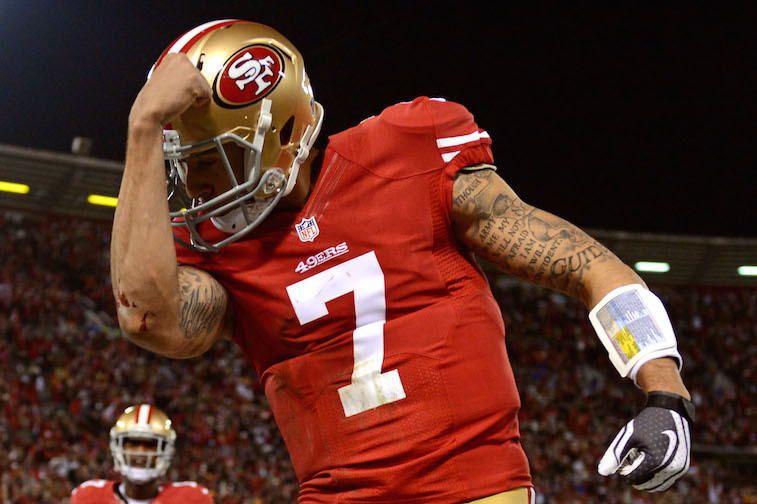 Kaepernick made $13,073,766 and threw only 19 touchdown passes in 2014. Long story short, the 27-year-old quarterback’s play last year did not justify the massive contract extension he received last offseason. A couple of seasons ago, Flacco gambled on himself and turned down a modest contract extension from the Ravens. His gamble paid off in a big way, as Flacco led the Ravens to a Super Bowl title and ended up cashing in with a six-year, $120.6 million contract. For the 2014 season, he made $21 million and threw 27 touchdown passes. Since signing his extension, Flacco’s play has yet to reach the level that he was playing at during the Ravens’ Super Bowl run in 2012. 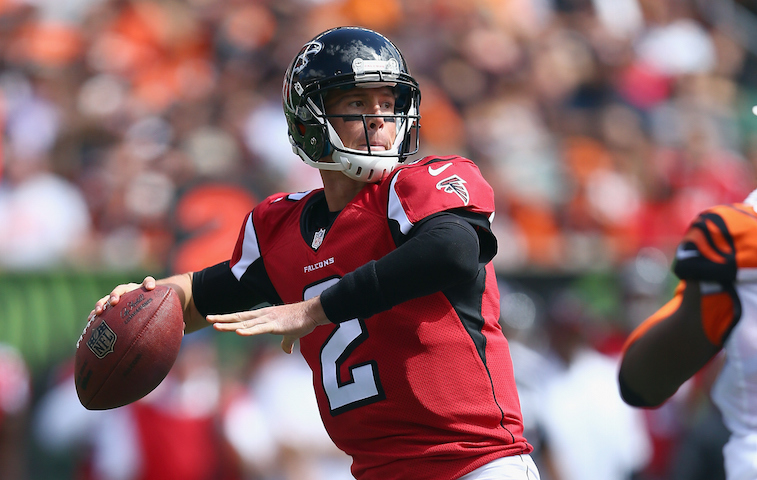 Ryan made more money than any other quarterback in the NFL in 2014. He earned a total of $24,500,000 for the season and threw 28 touchdown passes and 14 interceptions. It wasn’t all Ryan’s fault, but the Falcons struggled to a 6-10 record, and Mike Smith was fired as the team’s head coach following the season. 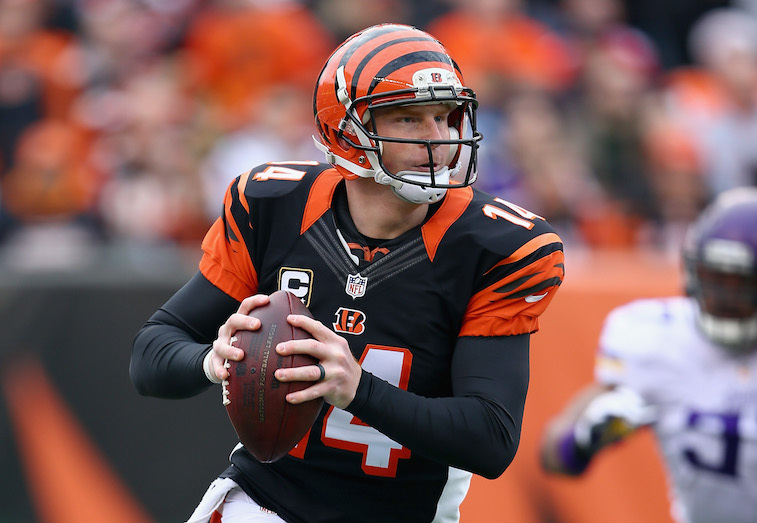 The Bengals opted to lock up Dalton to a long-term contract extension prior to the 2014 season, and it’s hard to imagine the team not having some sense of buyer’s remorse. The 27-year-old quarterback made $18,086,027 and rewarded the team with merely 19 touchdown passes and a whopping 17 interceptions. The Bengals did make the AFC playoffs, but that was less about Dalton and more about their stellar defense and running game. Smith signed a hefty contract extension with the Chiefs shortly before the 2014 regular season opened. The former No. 1 overall pick out of Utah made $19 million last season and finished with only 18 touchdown passes — none of which went to wide receivers. He coupled that with only six interceptions, but there is no denying that Smith’s extension is one of the worst contracts in the league. All statistics are courtesy of Pro-Football-Reference; all salary cap data are courtesy of Spotrac.